Are You ‘Chasing Shadows’ on AcornTV? 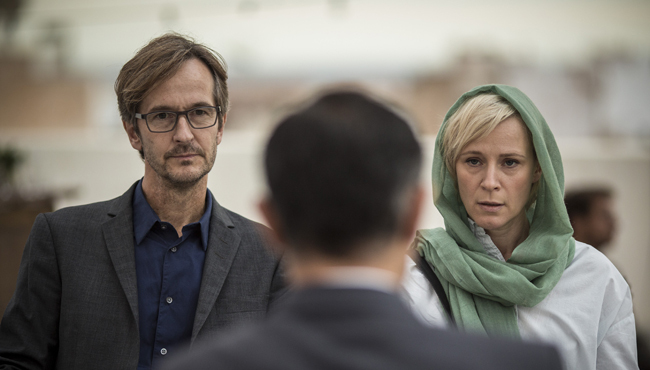 The world of police procedurals and detective dramas on television is a crowded place. It’s challenging to stand out among all of the memorable – and not so memorable – characters and stories. 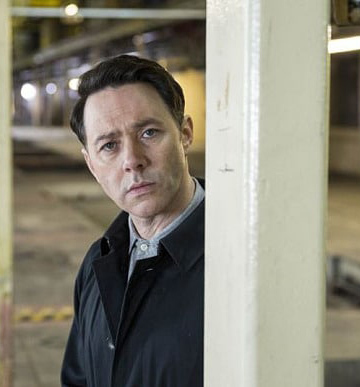 The Chasing Shadows TV series from BBC, currently available on AcornTV, responds by going full tilt Rain Man with detective sergeant Sean Stone (Reece Shearsmith). He’s a brilliant loner who cannot connect with colleagues, suspects or witnesses, but finds patterns and clues in cases that no one else sees. While the autism spectrum is never mentioned in Chasing Shadows, it seems to fit. Stone won’t make eye contact, seems unable to empathize on any level, and is most comfortable when he’s sorting through case reports and data. He even walks like Dustin Hoffman in the aforementioned movie. More than once while watching, we wondered how this guy became a cop. Using Asperger’s Syndrome as the basis for a detective story may remind you of Sherlock or The Bridge, but Chasing Shadows is not as finely nuanced as those series. Despite all of the above, Chasing Shadows is an entertaining TV series. It just doesn’t stand out as much as it could. 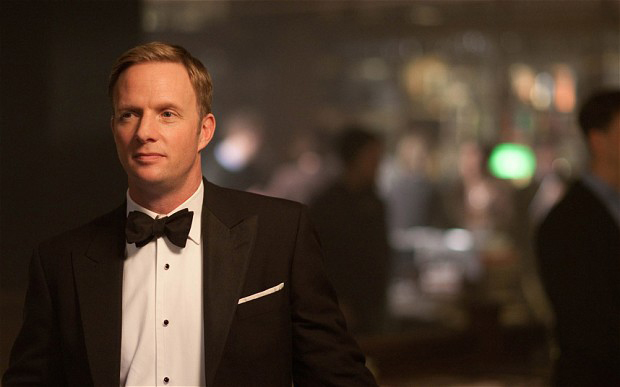 Since he doesn’t fit the mold, Stone is transferred out of homicide at the beginning of the show to to work in the Missing Persons Bureau. He immediately finds patterns that lead him to believe a serial killer is at work. 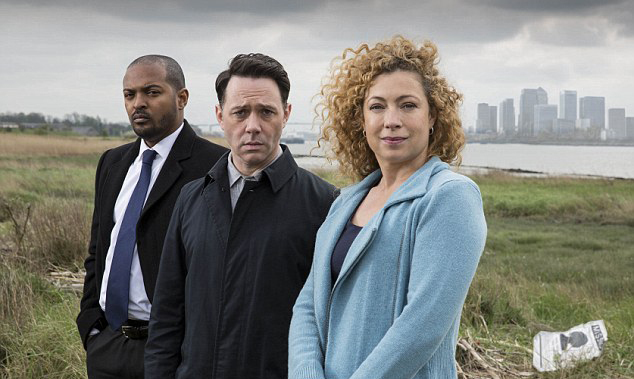 He has to interface with his supervisor and boss, Ruth Hattersley (Alex Kingston) and DCI Pryor (Noel Clarke). They all have to adapt and accommodate each other, with Stone, of course, being the least adaptable. 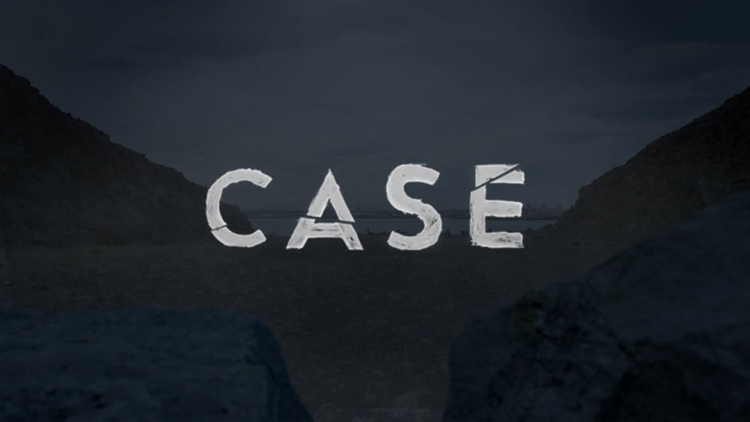 Cases in Chasing Shadows stretch out over two episodes; there are only four episodes in the TV series. 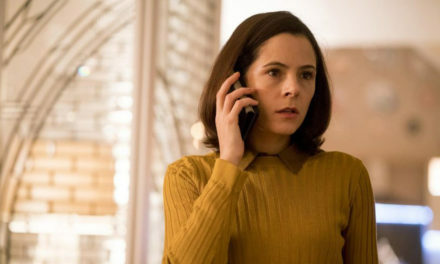 It’s all over too soon, and there is no word yet about season 2. The Chasing Shadows TV series was created and written by Rob Williams. It first aired on the ITV network in Britain in September, 2014. Look for it on AcornTV, which is available on its own or as an add-on subscription to Amazon Prime.